We're excited to have you! If you're moving in September, start looking for your apartment in June. We generally show apartments 2-3 months before they're free, but that can vary slightly so try to call us at least that far out. Got questions about apartments for rent in Morrisville? 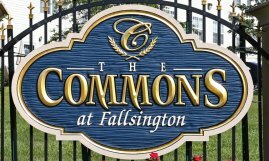 Curious about life at The Commons at Fallsington? Ask us!